Swedish death cleaning is the process of clearing out unnecessary belongings that you can easily get rid of. This cleaning can be done at any point in your life but should be done before others have to do it for you. Margareta Magnusson, author of THE GENTLE ART OF SWEDISH DEATH CLEANING shares how to discuss the topic of Swedish death cleaning with your loved ones. That is why the adults at that time—my parents’ generation and their parents before them—didn’t have the faintest idea what young people thought about anything. The parents and children didn’t understand one another as well as they might have. It was very stupid really and sad, a missed opportunity for the different generations to know each other better. And death and preparing for death were not usually discussed. Today, we often believe that honesty is more important than politeness. At best, we combine the two. I don’t think that younger people today are as “tactful” and reserved as my generation was, and that can be a good thing for everyone. Tact can be an important value so as not to hurt someone’s feelings, but since we all must—one day or another—look death clearly in the face, perhaps tact does not have much place in the discussions we all must find a way to have. Many adult children worry about the amount of possessions their parents have amassed through the years. They know that if their parents don’t take care of their own stuff, they, the children, will have to do it for them. Old people often have a problem with their balance. Rugs, stacks of books on the floor, and odd items lying about the house can be safety hazards. Perhaps this can be a way to start your discussion. Ask about the rugs. Are they really safe? Perhaps this is where “tact” is still important, to ask these questions in as gentle and caring a way as you can. 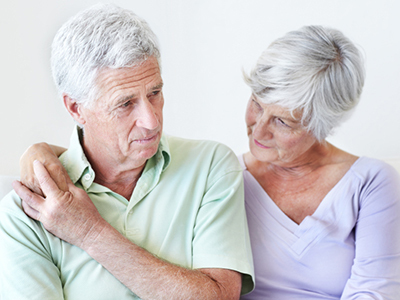 It is possible that the first few times you ask, your parents may want to avoid the topic, or change the subject, but it is important to open the discussion. If you are unable to get them to talk with you, then leave them to think and return a few weeks or a few months later and ask again, perhaps in a slightly different way. Or ask them over the phone or mention that there are certain things in their house that you would like to have and could you perhaps take them now? Maybe they will be relieved to get rid of a few things, and that will help them to begin to see the promise and possible enjoyment of beginning to death clean for themselves. If you are too scared to be a little “impolite” with your parents and you do not dare to raise the topic or ask them questions to help them think about how they want to handle their things, don’t be surprised if you get stuck with it all later on! Here are 11 books to guide you through grief. 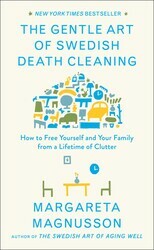 Share What Is Swedish Death Cleaning?